The Tower of Hercules is an ancient Roman lighthouse on a peninsula about 2.4 kilometers from the centre of La Coruna, in north-western Spain. The structure is 55 metres tall and overlooks the North Atlantic coast of Spain. The structure, almost 1900 years old and renovated in 1791, is the oldest Roman lighthouse in use today. There is a sculpture garden featuring works by Pablo Serrano and Francisco Leiro. 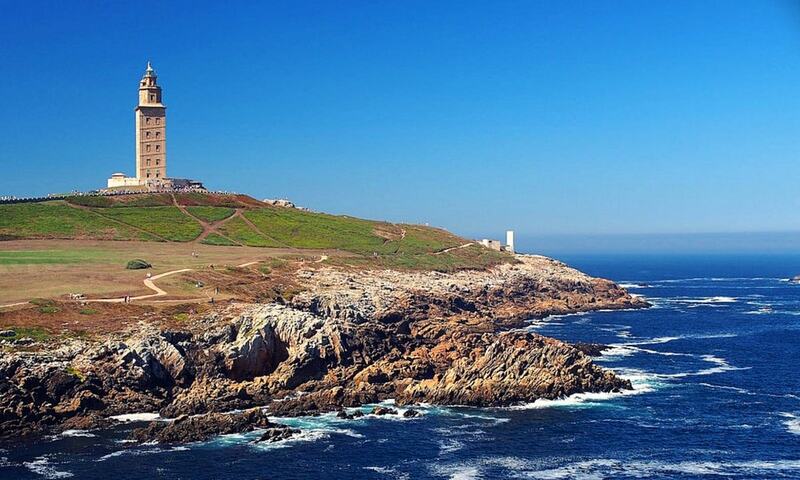 The Tower of Hercules is a National Monument of Spain, and since June 27, 2009, has been a UNESCO World Heritage Site. It is the second tallest lighthouse in Spain, after the Faro de Chipiona.